Analysis: Without a chance for a playoff run, Minnesota had a mediocre 2013 season despite a number of quality individual performances. Players such as Bracalello, Ibarra, Van Oekel and Davis hope to continue their strong play although the loss of last season’s top goal scorer in Pablo Campos to a season ending injury will hurt their depth, especially up front. 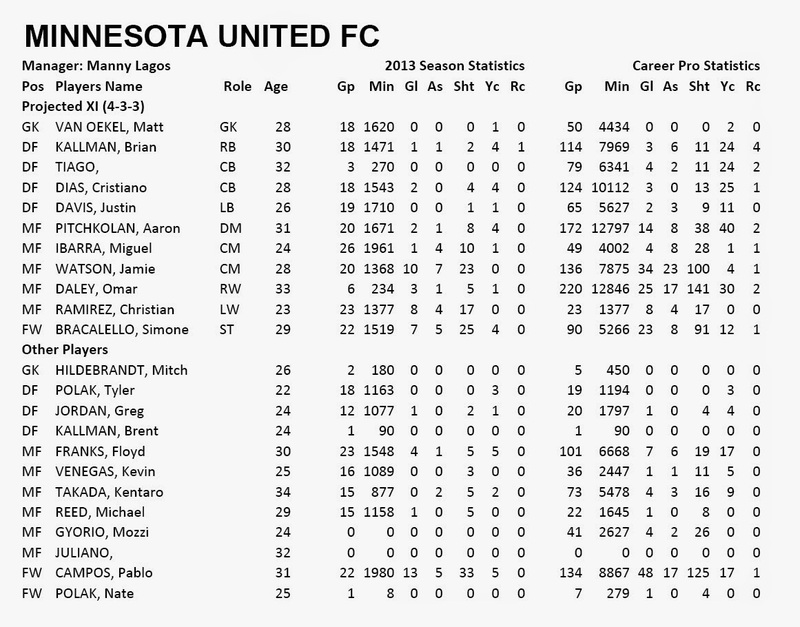 Minnesota brought in three players who were highly thought of in USL Pro including Jamie Watson, who scored 10 goals and 7 assists with Orlando last season, and former GA signing Tyler Polak. Forth year coach Manny Lagos also brought in Brazilian veteran Tiago who has played in Europe and Australia. 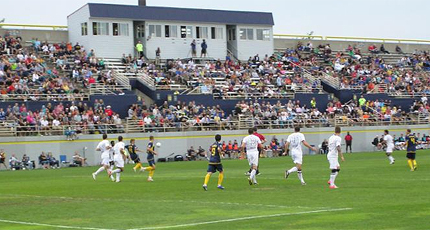 With the new NASL system of less playoff spots, Minnesota will have to show a greater consistency through a number of games to challenge for this year’s Soccer Bowl.